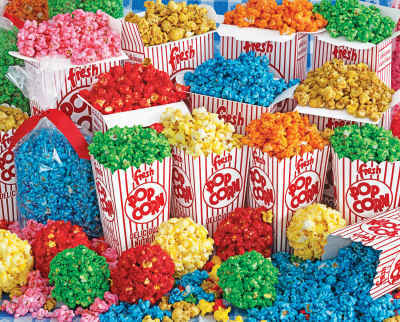 Fresh popcorn in vibrant colors, Technicolor Treats, is another original image by the Springbok puzzle-geniuses. 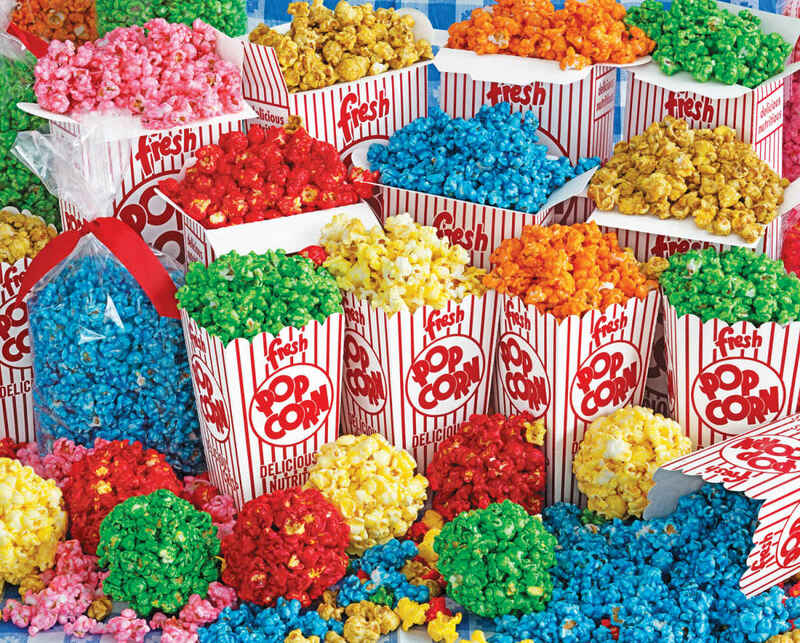 This popcorn filled puzzle has different sections of color to make it a little less challenging, but beware that you aren't confusing the multiple areas of blue, green, pink . . . On second thought, this may be one of our more challenging images! Started this one with our two grandkids (ages 9 and 12) over their 2018 Christmas break and finished it up with our two nieces (ages 11 and 9) at the end of their Christmas break. It was a favorite for all of us due to the bright, bright colors and we all enjoyed working on it. It was prettier than the box when made. Really enjoyed making the puzzle. It was a little challenging, but my husband and I worked on it with a group of people, enjoying eating popcorn while we made it and then we finished it in 2-3 hours the next day. Loved the weight of the pieces and how well they stayed together when moving large sections.